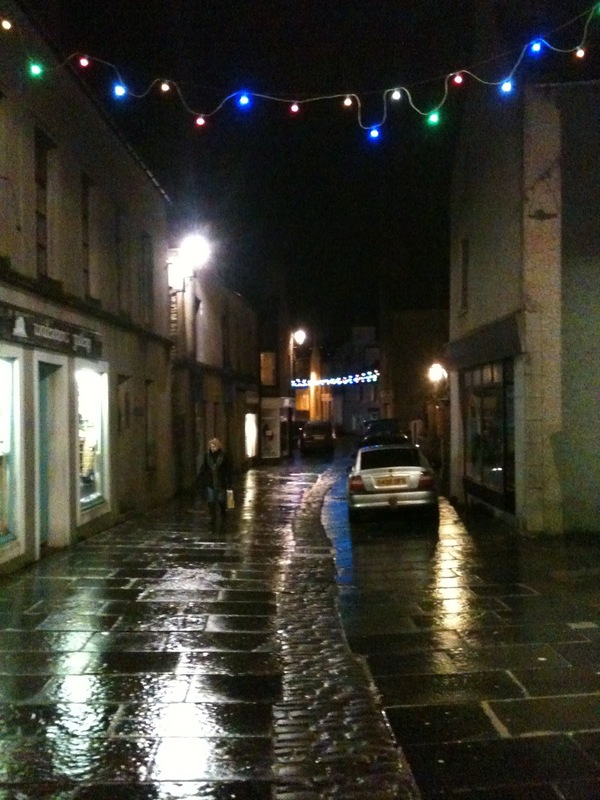 As part of our blog advent calendar we thought we would take you on a virtual walk along the street to give you a feel for Stromness at Christmas. To start you off here is the Northlight Gallery window, which is worth a look all year round as the artist's mannequins act out various topical scenes. Here they are getting ready for Christmas and demonstrating the various crafts on show in the gallery's Christmas exhibition - The Gathering - which features work by members of the Orkney Crafts Association and runs until Christmas Eve. 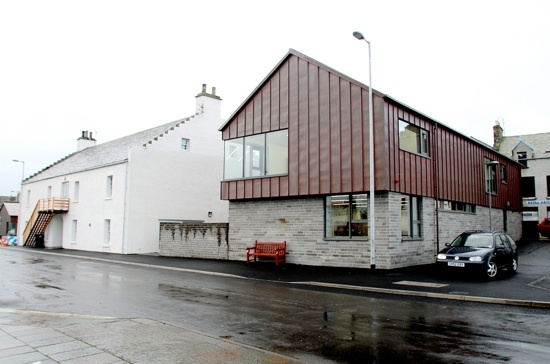 Remember that a Christmas shopping trip to Stromness also gives you the chance of winning £1000 in the Stromness Bonanza - you get an entry number for every £5 you spend, with the winner being announced on Hogmanay! 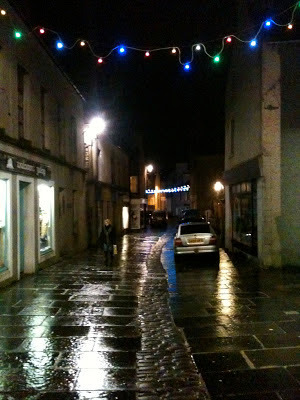 More festive views of Stromness to follow, but for now here's a view looking south along Victoria Street towards Graham Place, showing the Christmas lights.